Mirroring CAFAM’s mission for cultural understanding, the Shop@CAFAM is a perfect supplement to the museum. With a wide variety for sale, there's something for every budget and taste. 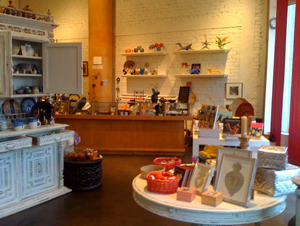 From works by local artists to pieces by Murano craftspeople, the Shop features one-of-a-kind jewelry, stationary, books, prints, scarves, housewares, plus more – perfect and unique gifts for any occasion! Remember, all museum members get a discount at the award-winning shop. Become a member today and start saving! Call Yuko at 323.937.4230 x22 or email yuko@cafam.org.